Milos is an island with a lot of beaches which the visitor can visit only by boat, like the well known Kleftiko, the gulf of the pirates with the huge white rocks in a multiform of geological formations, the Emerald Cave of Sikia, the beach of Gerakas and Glaronisia. A trip by boats or by yachts that set out on a daily basis from Adamas or the beach of Gardens (Kipos) and visit these unapproachable natural sights, a plunge in the turquoise, crystal clear waters in the rugged beaches or a boating from the port of Pollonia to Kimolos and Polyegos is an experience you should definitely not miss, while on Milos. Once you arrive, we will give you all the information you need for a unique experience! Diving acquires a new dimension on Milos. Underwater caves, unique rock formations above and below water, a lot of shipwrecks, from the WWII or even earlier, reefs and hot springs host a particularly rich sea fauna (seals, blackfish, lobsters and more) and promise both the professional and the amateur divers unprecedented images and unparalleled experiences. 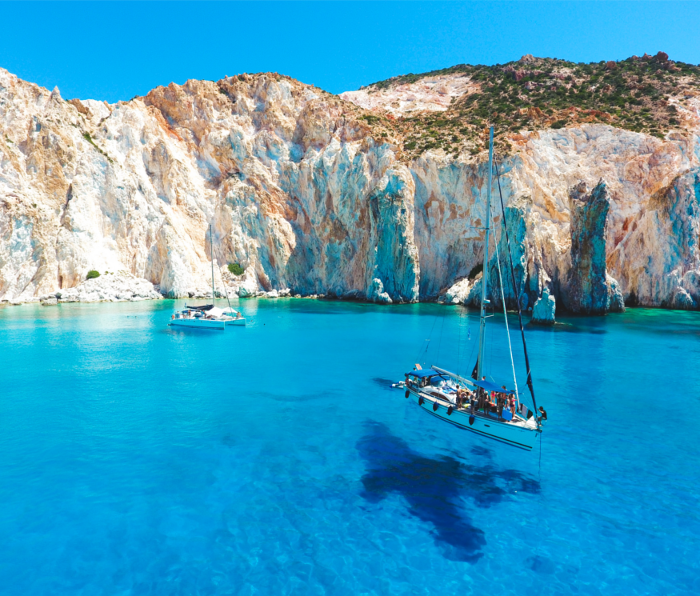 They also make Milos a privileged destination for spear fishing enthusiasts. 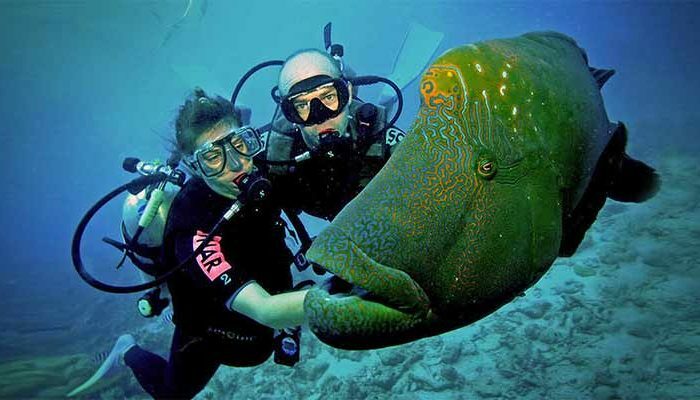 On the island, there are certified schools that will provide you with state of the art equipment and excellent know how experts and guides, who can offer you a unique, safe and remarkable diving experience. Once you arrive, we will give you all the information you need for a unique experience! Volcanic rocks, archaeological monuments, beautiful little churches, rugged beaches and old mines compose a puzzle of unique images that the visitor will encounter, should he decides to…walk on Milos and get to know the less touristic but utterly interesting side of the island. What is more, the rich subsoil, due to its volcanic history, creates a rare flora with one of a kind herbs, plants and trees, like the century-old cedar tree of Milos and an ecosystem where rare animals, plants and reptiles live. 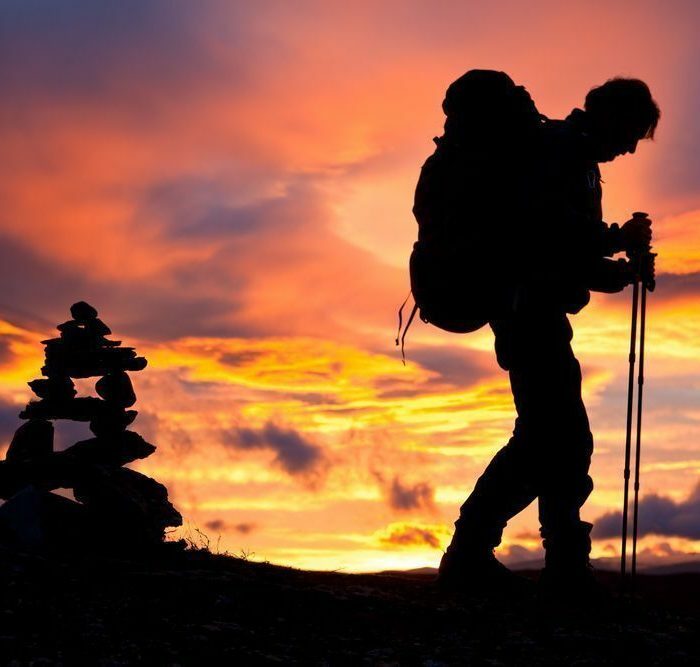 To get to know this hidden side of the island better, you will need an experienced guide, which is absolutely easy to find, since on the island, hiking activities are regularly organized, while at the same time, there is “the Group of Friends of Mountain and Sea” from which you can get information about hiking events and instructions on the routes you can follow. Are you interested to find out more? Do not hesitate to contact us! 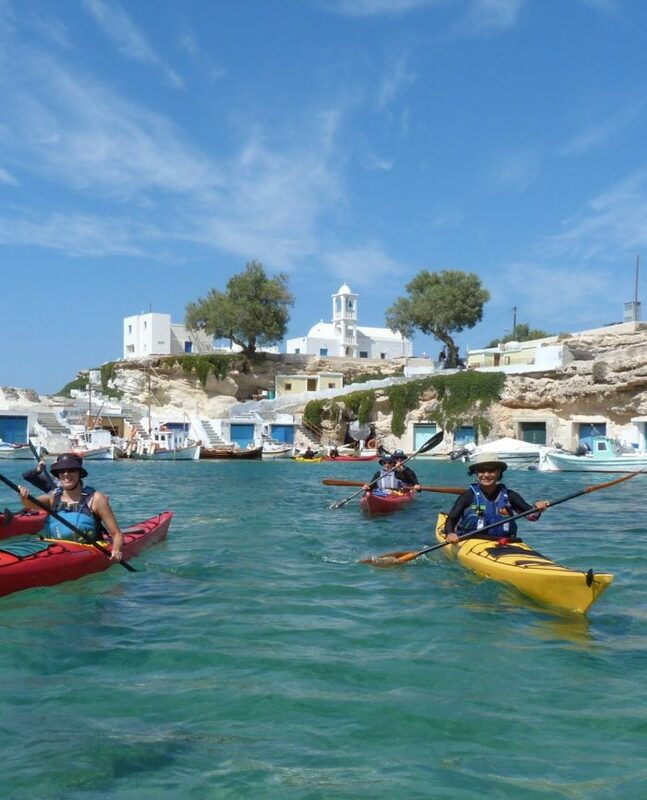 The impressive coastline of Milos, with its rugged beaches, its impressive rocks and its numerous sea caves and tunnels create uncommon sceneries you can discover by a sea-kayak. Furthermore, the remote beaches, where you can go by kayak and enjoy sunbathing away from the crowd, will absolutely compensate your effort. From April until the end of the summer, day trips by kayak or visits to small neighboring villages are organized -and are most of the times combined with camping -thus constituting an exceptional suggestion for adventure and an extraordinary escape from convention. Are you interested to find out more? Do not hesitate to contact us!